Humatrope is a hormone of DNA origin that has an amino acid sequence identical to that of the human growth hormone (HGH.) It is prescribed to children and adults whose pituitary gland, the source of most hormones, doesn’t produce enough HGH on its own. The active ingredient of Humatrope is a protein that is a recombinant growth hormone. It belongs to a drug classification of growth stimulants. 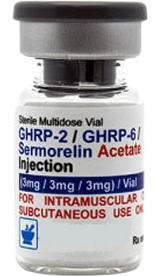 Somatropin mimics the amino acid sequence of the human growth hormone. 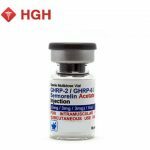 HGH is naturally made by our bodies and stimulates and maintains growth at all ages. Children’s bodies are most in need of growth hormone. For those with growth failure, finding a reliable and effective medication to reverse the process of growth inhibition is top priority. The only way to be positive of your safety before taking medical action is by consulting with a doctor. 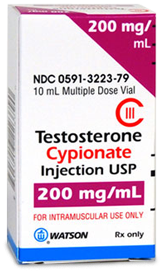 Besides, the only way to legally attain hormone treatment products is with a valid prescription. Make sure you have thoroughly discussed your situation and taken the necessary tests to avoid harm to your health. Children born small for gestational age (SGA). Adults with deficiency as a result of pituitary disease, radiation therapy, surgery, trauma, or hypothalamic disease. 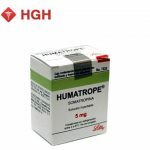 Indications for treatment with Humatrope include pediatric and adult patients with growth hormone deficiency. 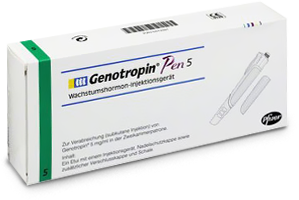 For children specifically, other indications include short stature homeobox-containing gene (SHOX) deficiency, idiopathic short stature, Turner Syndrome, and those small for gestational age. Adult users of Humatrope are men and women with growth hormone deficiency that did not result from old age. Adults who have a preexisting GH deficiency may need to undergo treatment again. Humatrope shouldn’t be taken be those with diabetic retinopathy, acute critical illness, an active malignancy or closed epiphyses, or anyone with an allergy to Humatrope’s ingredients. Most often an allergic reaction Is accompanied by a rash, hives, or swelling. Dosages for the hormone prescribed to children range from 0.02 to 0.05 mg per kilogram every day. For adults, 0.15 to 0.3 mg every day. Humatrope is distributed as a powder in either a 5mg vial and 5 mL of diluent solution or 6-24 mg cartridges and prefilled syringe of diluent. Dosages are not to be exceeded under any circumstances. If you miss a daily dose, it is better to skip it and avoid chance of overdosage or allergic reaction. 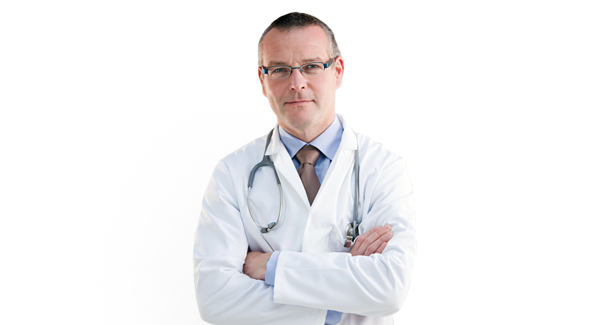 It is critical that your doctor knows of any past conditions or medical treatments before a treatment is initialized. Tell your doctor is you are taking any other medications such as insulin, drugs that contain steroids, drugs for seizures, cyclosporine, or other hormone replacement therapies. If you are pregnant or nursing, Humatrope should be carefully considered and only administered in dire need. Patients older than 65 may be sensitive to Humatrope. Anyone with a pre-existing tumor or abnormal tissue in the brain should also be carefully considered to avoid risk of a new malignancy. If your family medical history puts you at risk of diabetes, your doctor should monitor your blood sugar throughout use of Humatrope. Children with Prader-Willi syndrome must also have their therapy monitored is they have risk factors of severe breathing problems, sleep apnea, obesity, or a respiratory infection. This applies especially to male children with Prader-Willi syndrome. Other children whose growth plates have already closed should not be taking Humatrope. How Do you Administer Humatrope? Should your doctor decide that you can benefit from the effects of Humatrope and you aren’t in a risk zone, you will be given a prescription. Treatments vary with doses and cycle periods. Humatrope must be injected and injection sites should be rotated and monitored. Humatrope comes in vials or injection devices for comfortable and painless self-use. Usually the injection must be done daily, but for some cases such as for children it is administered weekly. Dosage depends on many factors and only a doctor will be able to decide how much is right for you. Take Humatrope exactly as instructed by the doctor and consult with him before stopping or changing treatment. The solution should be refrigerated but never frozen. It should not receive a lot of light. It should be kept out of reach of small children. Hello Jay. Instructions has been sent to your email. Charles, please fill the form or call us for free consultation. I need hgh for degenerative blood cells. I’ve been using Humatrope since 2013, due to an autoimmune condition that disabled my pituitary gland (hypophysitis). After my pituitary stopped working in 2012, and my body no longer made testosterone or growth hormone, I went downhill fast. In my 50s and an avid cyclist, I put my bike away, became chronically fatigued, and gained 30 pounds. Thank goodness my MD sent me to an endocrinologist who diagnosed my condition. After a couple of months back at normal levels for testosterone and growth hormone, the weight fell off and my enjoyment of life came back. I got back on my bike, watched what I ate, and by the following summer was once again riding with my club. Thanks to Androgel and Humatrope I got my mojo back. BUT — they did not grow back my thinning hair (which I can live with), and my fitness would not have returned if I did not get back into a serious exercise regime. Just the supplements on their own aren’t enough — you’ve got to put in the effort and have the self discipline to eat a moderate diet. John, thank you for your case. Real stories are very important for our customers.